Youngstown has a thriving local nursing profession. The city’s major nursing employers include Mercy Health, Akron Children’s Hospital, and the state of Ohio. These healthcare providers employ three primary nursing roles: registered nurse (RN), licensed practical nurse (LPN), and certified nursing assistant (CNA). Registered nurses fill the classic “nurse” position. They direct many aspects of patient care, and they often assume administrative responsibility for the entire nursing unit. To practice as an RN in Ohio, one must complete an accredited prelicensure program: either a hospital diploma, associate’s degree in nursing (ADN), bachelor of science in nursing (BSN), or direct-entry master of science in nursing (MSN). All candidates must then pass the NCLEX-RN national licensure examination. Youngstown’s RNs earn a median annual salary of $55,300. Junior to the RN is the licensed practical nurse. LPNs provide direct bedside care to patients, and they may execute a number of medical procedures under physician or RN supervision. Aspiring LPNs in Ohio must complete an accredited certificate program before successfully passing the NCLEX-PN national licensure examination. 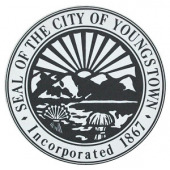 The LPNs in Youngstown report a median annual salary of $36,700. Nursing assistants, also frequently referred to as nurse’s aides, fill an entry-level nursing role. They help sick, elderly, and injured patients to complete essential life tasks like eating, bathing, or using the restroom. Ohio’s CNAs need only finish a brief training program and pass the state certification exams in order to gain licensure. According to the Bureau of Labor Statistics, Youngstown’s CNAs earn roughly $23,400 per year. To help Youngstown’s future nurses launch their careers, we have compiled below a comprehensive list of accredited nursing schools in the metropolitan area.